Despite the resurgence of stereoscopic 3D cinema over the past decade, a relatively small number of movies are designed in such a way as to take full advantage of the technology. 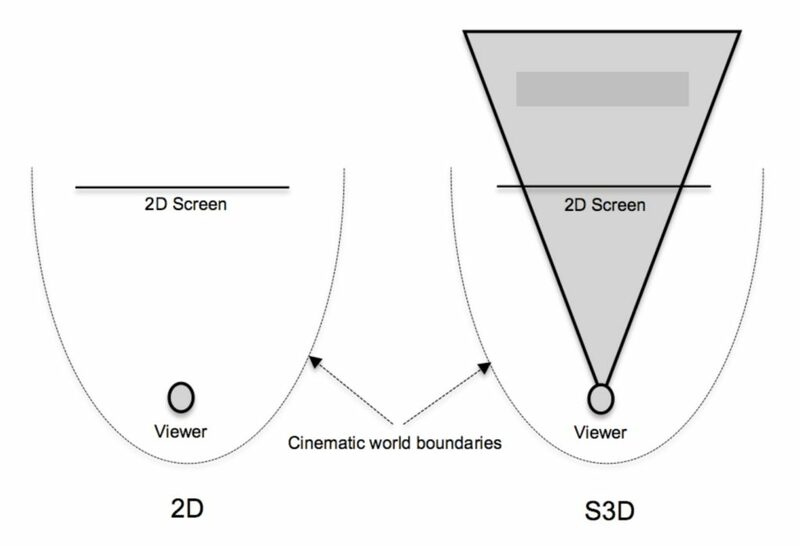 Additionally, even movies designed with 3D immersion in mind cannot be adventurous with the new possibilities, as they have to be designed with 2D compatibility in mind (Mendiburu 2009: 5). It can be argued that as long as compatibility with traditional 2D cinematic environments is part of the immersive cinema production, three-dimensional audiovisual immersion is unlikely to be fully explored and developed (Ibid.). Perhaps, immersive cinema can be fully explored and realised only if, and when, it is accepted as a stand-alone cinematic form that is not bound to the limitations and logic of classic 2D cinema. With this in mind, one could question not only whether such a form of cinema would be possible and viable, but also in what ways this may affect the process of filmmaking. In the current context, this possibility could lead to key question: how does this prospect affect the creation of the soundtrack that accompanies such films? Is it possible that the creation of the stereoscopic 3D soundtrack should be different to that of 2D movies, as many of the the unique characteristics of stereoscopic 3D cinema production do not apply (Mendiburu 2009: 92), or are not suitable to the latter? Could it be that the multichannel soundtrack of stereoscopic 3D movies needs to be examined in combination with the unique visual and spatial characteristics of this cinematic style and not in isolation? 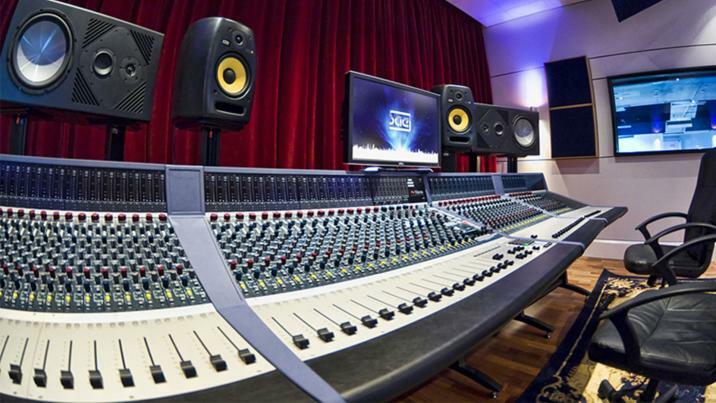 In order to explore such ideas in more detail, one may need to identify potential aspects of the soundtrack of stereoscopic 3D films that need to be treated differently and, eventually, propose possible sound design approaches and techniques that take this difference into account. With this in mind, and considering that the stereoscopic 3D format involves an improved back-to-front (z-axis) sense of visual depth but no enhancements on the right-to-left plane, one of the first questions regarding the soundtrack may be whether soundtrack mixes for stereoscopic movies are likely to be in need of a pronounced front-to-back orientation. In other words, is it possible to affect the sense of depth of the stereoscopic 3D visual field by creating a soundtrack mix with strong or exaggerated auditory distance cues on the front-to-back axis? Previous research suggests that this may be a possibility (Turner et al. 2011; DeLancie 2000; Mastoropoulou 2006: 20), as distance perception is a multimodal process greatly affected by auditory cues (Mastoropoulou 2006: 2). Is it, therefore, possible that such audio processing could affect the impression of depth of the stereoscopic 3D scene as a whole without changing the visual 3D content? Guiding the viewers’ attention to particular visual objects or areas within a scene is a different task in stereoscopic 3D than it is in traditional 2D cinema (Bayon 2010). To a large extent, this is because selective focus and depth of field do not work in 3D as effectively as in 2D (Clark 2010: 8; Lelyveld 2009; Hayes on Bayon 2010), although such cinematic techniques are possible in stereoscopic 3D productions. Based on this observation, could we try to use soundtrack cues to deliberately guide visual attention within complex and visually rich stereoscopic 3D scenes? Another aspect of stereoscopic 3D that is different to 2D filmmaking is that the introduction of stereoscopic cues affects decisions related not only to the spatial character and composition of each scene, but also to how different scenes are combined together during editing (Autodesk 2008: 7; Mendiburu 2009: 4, 92). For instance, a cut between a scene where the main object appears to be in front of the screen to one where it is far beyond it would be commonly avoided, as it can cause visual discomfort and/or confusion to the viewer (Lelyveld 2009). 3D filmmakers usually take this into account during the preproduction and production phases, and adjust the depth of succeeding scenes according to a relevant depth script (Autodesk 2008: 7). However, this can compromise the options and the creative input of the editor (Mendiburu 2009: 88, 153). Is it possible that a way to achieve transitions between such scenes may be a combination of visual fades (or fades to, and from, black screens) with appropriate audio cross-fades in the soundtrack? Although the broad range of possibilities for the future of the stereoscopic 3D medium may prevent one from making solid and accurate predictions and proposals, if a dedicated, stand-alone stereoscopic 3D film genre emerges, the importance and relevance of such questions could quickly transcend the academic and scholarly boundaries and become a central theme for thought and discussion amongst stereoscopic 3D filmmakers and sound designers alike. Autodesk (2008). The Business and Technology of Stereoscopic Filmmaking. Stereoscopic Filmmaking Whitepaper. Autodesk Inc.